Westgold Resources has sold its lithium royalties to Cayman Islands-based investment company Silverstream SEZC for $15 million following the collapse of a sale agreement with Cobalt 27. 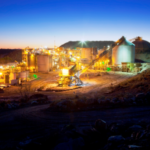 The company made a decision to sell royalties from its Mt Marion and Buldania operations in Western Australia in December 2018 following a successful raising of $23.4 million for working capital related to the purchase of contractor Australian Contract Mining and funds for Westgold’s Murchison gold operations. Silverstream had previously expressed interest in the initial December sale, but lost out to Canadian company Cobalt 27 at the time. The company aims to “increase value for all stakeholders by creating and structuring precious metals streams designed to be both attractive and flexible financial alternatives for our clients and shareholders alike”, according to the website. Silverstream has now emerged as the overall victor following the incomplete and expiry of Westgold’s sale agreement with Cobalt 27. The Mt Marion and Buldania lithium royalties are valued at $13 million and $2 million respectively, with the latter subject to pre-emptive rights with Liontown Resources. 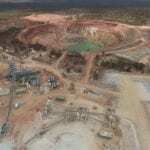 Westgold’s subsidiary Avoca Resources reached an agreement with Liontown to expand the Buldania project area in November 2018, while Westgold retains priority access to all other metals at the site. The lithium royalties sale is part of Westgold’s continued focus on divestment of its non-core assets. Westgold also agreed to sell its Higginsville gold operation near Norseman, Western Australia to Canada-based RNC Minerals for $50 million in March 2019.